What Should I Do with My PPC Campaign When the Office Is Closed for the Holidays? Every business uses different kinds of online marketing strategies in order to maintain an effective online presence and promote their offerings. One of the most common and effective strategies of digital marketing includes Pay-Per-Click (PCC), where they advertise their offerings by paying a fee each time their advertisement is clicked. Wordlead reveals that internet traffic that is funneled through PPC advertisement brings around 50% more lead conversions compared to organic web traffic. 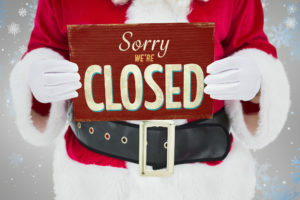 However, many businesses do not know what to do with their PPC campaign when their offices are closed due to holidays. Most businesses tend to pause their campaign for the holiday, whilst others tend to keep it active in pursuit of lead generation. Which direction should you choose? Let’s find out. What should you do with your PPC campaign during holidays? Well, it depends. There is no definite answer to this question. However, there are certain factors that you may consider to make an informed and effective decision. As many competitors will not be facilitating inquiries of potential clients during the holidays, you may actually get their lead which you can convert into a client for your business. Secondly, it depends upon whether you are open for business during holidays. If you are a business who provides services which may be utilized during the holidays, then you should certainly keep your PPC campaign running. For instance, if you provide repair service, you never know when someone’s going to break their equipment and may require your services. You may actually charge premium rates during holidays, perhaps pay extra to workers who are putting up an effort during holidays. As a matter of fact, you should obtain services of a professional digital marketing firm to devise a strategy for connecting with the right audience. Furthermore, the nature of your business also plays a crucial role in determining whether you should keep your PPC campaign running or not. An e-commerce business can actually benefit from holidays, offering seasonal discounts and hosting events such as Black Friday to generate additional sales. It can be advantageous for them to acquire services of a competent digital marketing firm to strategize effective marketing campaigns for more targeted audience. However, if your business does not offer any service that can be utilized during holidays or clients do not need to inquire or contact before visiting your premises, continuing a PPC campaign may not be a wise choice. Finally, if your website is under maintenance during the holidays, you should pause your PPC campaign as continuing it will have an adverse effect and may discourage potential customers from visiting your website when it is functioning properly. If you wish to find out more about this subject or have any other queries regarding digital marketing, contact FORWARD marketing at (773) 227-3269 to speak with a digital marketing specialist.